Why? Because it’s prevalent in a number of areas in Litchfield and surrounding towns as my wife and I discovered when we tested our home. Also because it’s colorless and odorless and you won’t know if it’s present unless you test for it. Radon is a naturally occurring radioactive gas produced by the breakdown of uranium in soil, rock, and water. It is the second leading cause of lung cancer in the United States. Only smoking causes more lung cancer deaths. Radon can seep into your house because air pressure inside is usually lower than the pressure in the soil around your home’s foundation. It can also be released into the air in your home if it is present in high concentration in your well water. When we tested our home on Goodhouse Road in Litchfield we found extremely high levels of radon in our well water but fortunately acceptable levels in the air inside. Many of our neighbors discovered the same thing. 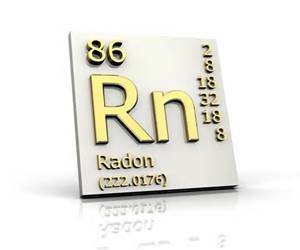 All homeowners should test their air and well water for the presence of radon. It’s not costly and well worth the expense. If it’s found in levels exceeding EPA recommended standards, there is no need to panic. Radon can be removed through a variety of very effective mitigation systems. My wife and I know….we have one. 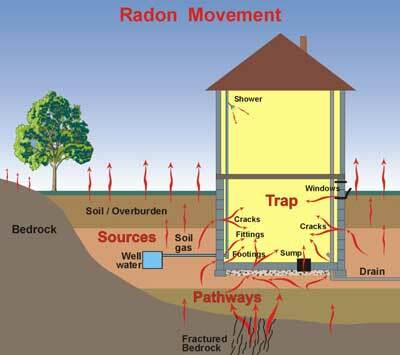 Check out this very useful guide from the EPA: Consumer’s Guide To Radon Reduction. Also, feel free to email me or give me a call. I’ll provide information on how to have your air and water checked. Don’t take a chance. Do the testing. This entry was posted in Uncategorized and tagged air radon, Consumer's Guide to Radon Reduction, EPA, EPA radon, goodhouse road, litchfield, litchfield ct, lung cancer, radioactive, radon, radon blog, radon gas, realtor, Realtor Dave Luzi, water radon. Bookmark the permalink. 2 Responses to Radon: Should I Check My Home? Great post! Everyone needs to know this about their home. You have an interesting blog, I love the name the photos of the area. Thanks. We have a lovely town. Let me know when you plan on being in the area! !